Spartanburg County, South Carolina is a growing community with no signs of stopping. Home today to approximately 300,000 residents, this former mill community is developing a second identity as a forward-thinking industrial hotspot. Keeping up with the demands of new families moving into Spartanburg County can be a challenge for a parks and recreation department responsible for managing over 40 facilities countywide and a land area of approximately 820 square miles. Not only does rapid growth pose a facility management and activity offering challenge, it means new citizens bring with them new and diverse expectations for the county’s parks and recreation offerings and associated digital systems. “Like many communities across the county we are learning to balance the interests of those who are new to our community with those who were born and raised here,” said Woodsby. For Spartanburg County’s Parks and Recreation department, a vital component of continuing to ensure the same quality of parks and recreation services long-standing residents have come to enjoy while meeting the expanding interests of new residents lies in the convenient access to program information and registration. When the county realized its former parks and rec management system was not meeting the needs of its progressive-minded citizens and would not keep pace with the needs of the growing community, it turned to CivicRec® (formerly Rec1) for a modern, intuitive solution. Before its switch to CivicRec, Spartanburg County was using a parks and rec software whose maintenance needs were inhibiting the County’s efficiency. To find a more ideal solution partner, Spartanburg County conducted a formal request for proposal (RFP). Spartanburg County relied on the implementation experts at CivicRec to migrate its valuable data from is previous system, to its new database. Also, Woodsby and the Parks and Recreation team participated in two-days of on-site training with CivicRec staff. Not only was the training valuable, the team at Spartanburg County were relieved to find the CivicRec interface much easier to use than their previous system. 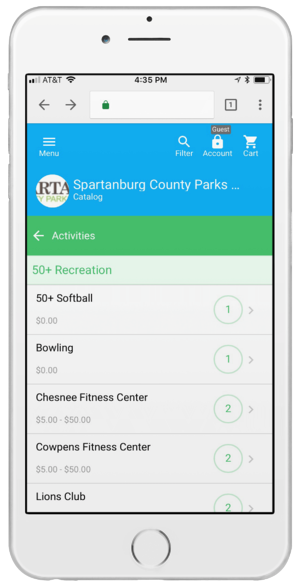 Not only has the Spartanburg County Parks and Recreation Department benefitted from consistent access to a more robust parks and recreation management system, the CivicRec team has continued to support the County with customizations. 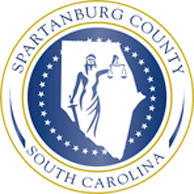 Like many CivicRec clients, Spartanburg County has not only benefitted from an easy-to-use piece of software; it has improved and streamlined many of its core workflows thanks to the system’s capabilities. If your current parks and recreation management software isn't doing enough to help you meet your goals, and you would like to see for yourself how CivicRec can save you time, streamline your parks and rec operations, and improve your citizen engagement, click below to take a tour of our powerful software.